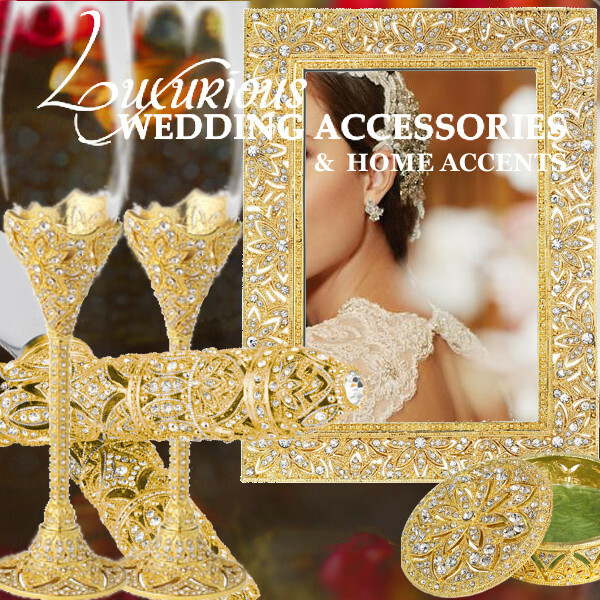 Welcome to Luxurious Wedding Accessories & Home Accents. We are proud to present a collection of luxury wedding accessories that will become part of your home decor after the wedding. embedded inside intricate designs. They make a perfect gift for any occasion. each of the products we offer will be appreciated as you use them in your daily life for years to come. View our Compliments page to read the reactions of our customers. Important Notice: All Luxurious Wedding Accessories are custom ordered just for you. By placing your order you acknowledge, agree and accept that all our products fall under a no refund and a no cancellation policy. All sales are final.